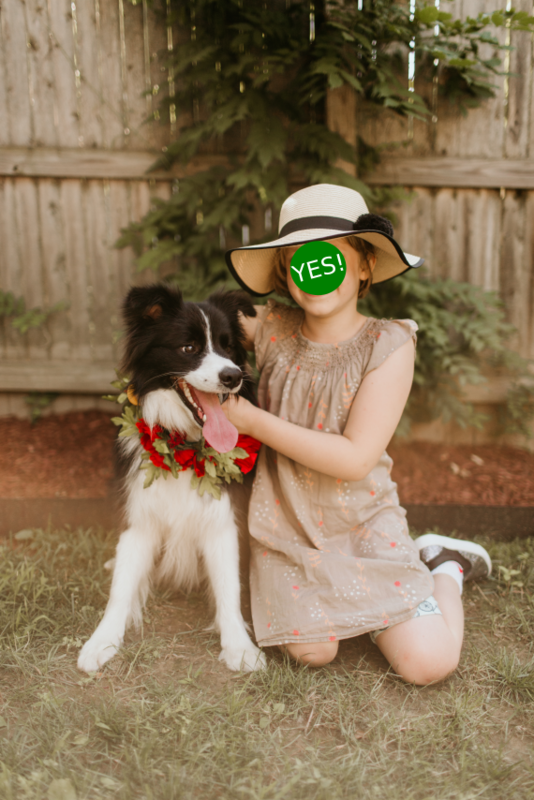 Recently I was going through some photos from my wedding, and there was a photo of my stepson HUGGING my dog, Teddy. The photographer, apparently, told him to hug the dog, so he did, even though he knows better. In these photos, my stepson's expression is sublime. Teddy's expression is "Ew. Can this be over now?" Of course, if I didn't spend years studying dog body language, I probably wouldn't see that, but I did, so I can't un-see it. Note how Ted is leaning away and his ears are back. He's not loving this. If Ted were less tolerant, it could even be dangerous. For those of you who don't know, dogs in general don't like hugs. Some dogs tolerate hugs, and some even like a little cuddle where you lean in to each other and maybe wrap an affectionate arm around (we call these "snugs") but keep it brief, keep your face away from your dog's face, and duration is on the dog's terms---which is usually considerably briefer than what we'd like. But rarely do they like human-style hugs, what with the trapping and squeezing, especially from children. Children are children and especially young ones naturally want to engage with cute animals. It's the grown-ups' job to monitor the interactions between the human and the dog to make sure things are safe, and make sure we're not telling ourselves heart-warming stories about what we're observing. This incident was a good reminder. "Oh, I don't need to worry about that stuff," you may say. "Poochie doesn't mind any of those things, and she loves the kids!" Wonderful! It fills my heart with warmth and happiness to hear about happy families. But beware The Curse of the Good Dog. When you have a tolerant dog, it sets you and your family up for developing dog-interaction habits that aren't safe around other dogs, your next dog, or even your own dog in certain situations (like when he's in pain, losing vision or hearing, or feeling trapped or stressed). 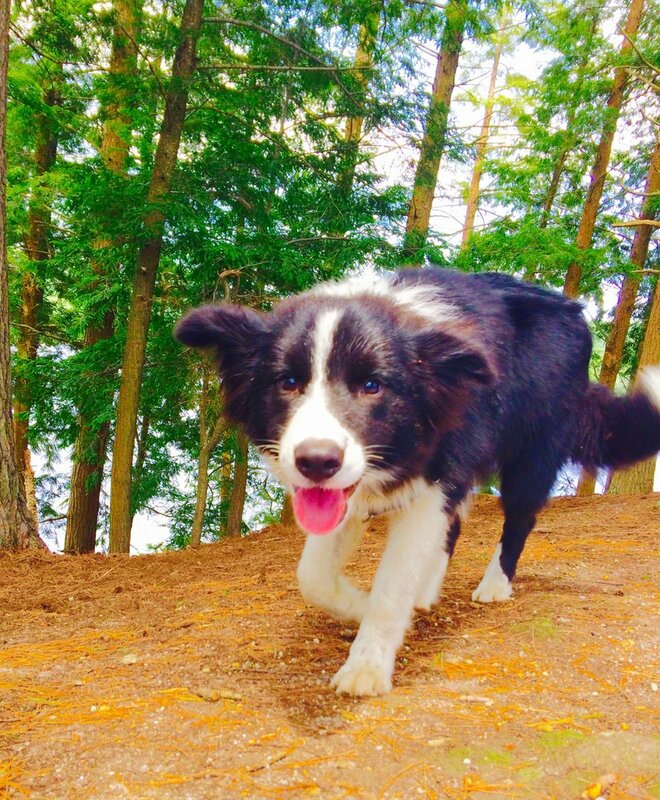 Understand that your dog's tolerance is the exception, not the rule, and it's common for a tolerant dog to become less and less tolerant of rudeness as he or she ages, sometimes resulting in a sudden, "without-warning" style incident. Compare to this photo, where Ted's ears are forward, he's standing normally, and he generally looks relaxed and comfortable. Here is a poster from the late, great Dr. Sophia Yin for kids and adults to help kids understand what NOT to do around dogs. I had this posted on my fridge at home for my kids when they were younger, and we referred to it pretty often. 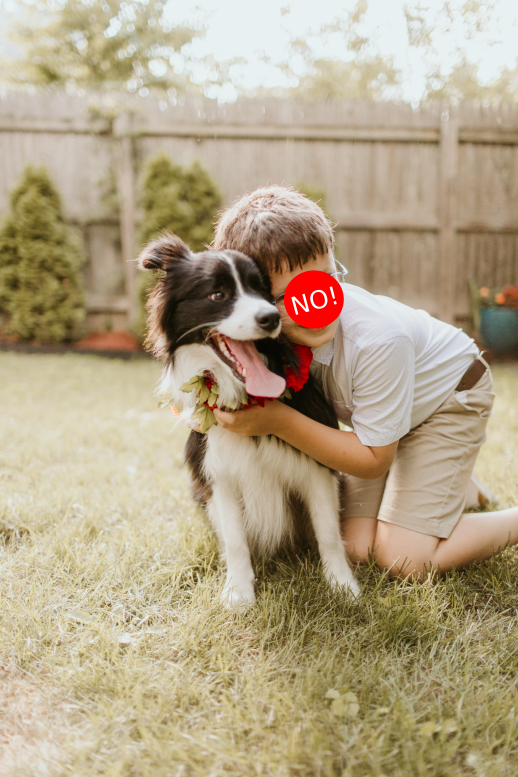 I talked to my stepson about the photo and reminded him that dogs don't like hugs, and that it's not safe to hug any dog besides Teddy. And even then, don't hug Teddy, because he doesn't like it! What are you doing to keep your dogs and kids safe? Tell us in the comments! Is Your Dog a Self-Control Superstar?